At Jones, our purpose is to enhance the lives of employees, vendors, customers, and the communities we serve. All of us are in this together. Although Jones is made up of multiple businesses, we all share the same mission, vision and goals. 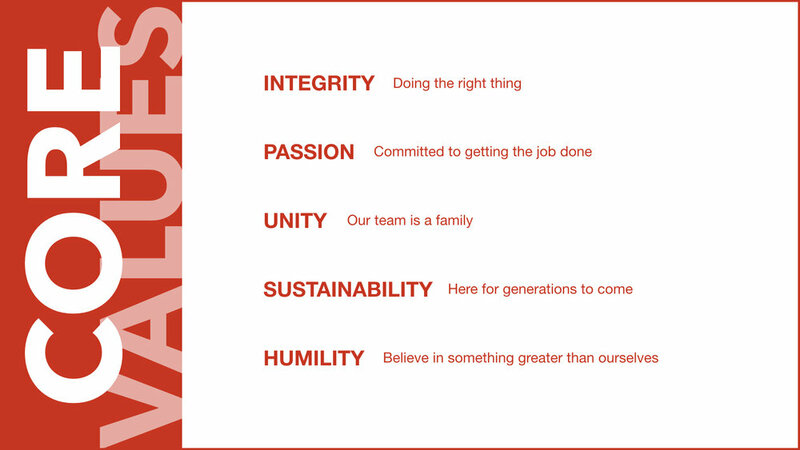 Our core values hold us accountable to our commitment to one another, the company and our clients. Since our inception in 1949, our mission has been to provide the best products and services for our customers. Today, with our founding principles intact, we are pushing the boundaries of innovation and efficiency in a multitude of industries worldwide. With our mission as our standard of measure, we are introducing new technologies that are increasing output and improving timelines. The Jones family of companies has rapidly expanded within the energy industry to meet a demand that few can manage. The synergy that the Jones Companies has created is both cogent and comprehensive, providing sweeping solutions where other companies have fallen short. We are proud of the work that we do and we have earned a reputation for getting the job done right the first time. At Jones, every project is an opportunity to perform better, faster and safer than before. In order for any business to capitalize on its lifecycle, deliver real and lasting value, and sustain growth, it must address and optimize three key areas: people, process, and technology. Any business is like an ecosystem; a complex network of seemingly unrelated departments that must function together in order to be healthy. People: At SPOT, we recognize that every person plays an important role. From the top down, every position is considered, engaged, trained, and invited to give feedback. This ensures that decisions are not made in a silo, uninformed and without every perspective that ought to be considered. From senior level management to field crew, we value the insight and experience of everyone that we have the privilege of working with and seek to make everyone’s relationship with our SPOT staff positive and mutually beneficial. Process: Our approach to process is two fold. The overarching principles to our product development and project management can be summarized in three words: Clear, concise, and compliant. Our aim is to make things as simple and efficient as possible, while never compromising quality or regulatory compliance with the standards set by PHMSA. On a deeper level, however, our approach to process is determined on a customer-by-customer basis. While the basic needs of any project will be similar, the ultimate goals, timelines or limitations of each customer may be different. Our process is therefore contextualized to better meet each customer’s specific needs so that their project is as unique as they are. Technology: At SPOT, we believe that technology is not a solution in and of itself. It is a tool that can be used to get a job done safely and more accurately when in the hands of trained personnel. We believe that technology helps to enforce process and compliance, and ultimately this is what better protects the people who use it. Incorporating innovative tools, coupled with well trained staff is the best safeguard and has proven itself to produce more efficient projects, fewer reportable incidents, and higher quality results.